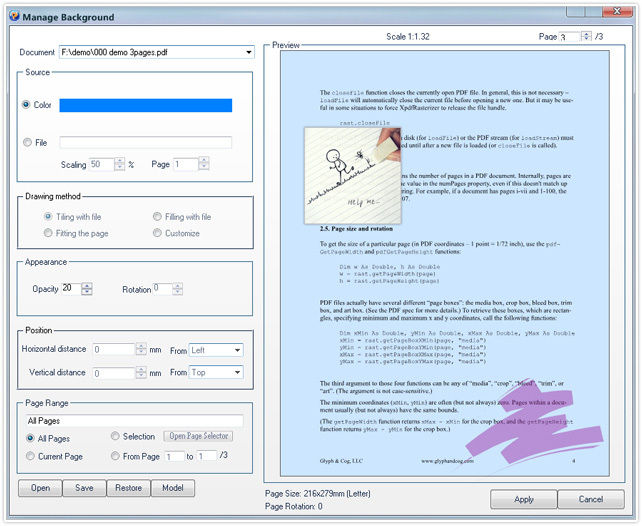 Background tool of PDFCool Studio allows the user to easily add color, image or PDF file as background. 6. Click on the Apply button to finish the adding background process. 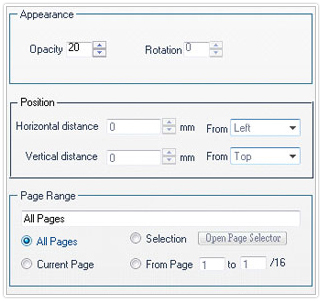 Note: click on the Open, Save or Restore buttons lactated in the bottom left corner, the user can choose to open the background project files, save the current options as project file, or back to the default values.